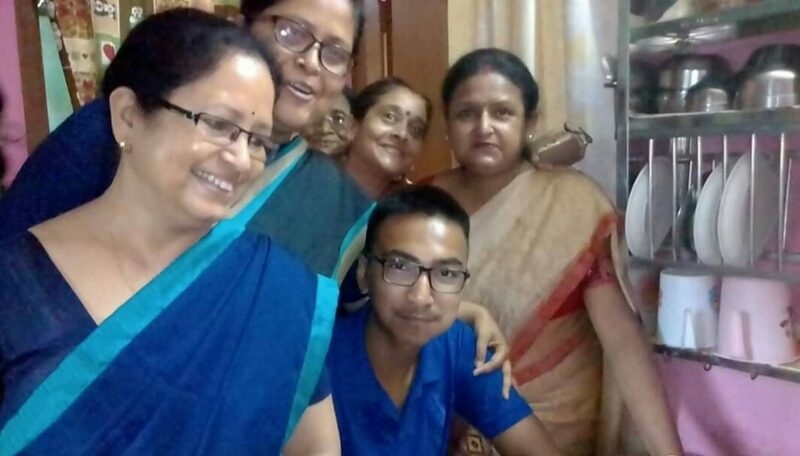 Raktim Bhuyan of Moonlit High School of Sonitpur bagged the first position in the High School Leaving Certificate (HSLC) examination, 2018, results of which were declared by Board of Secondary Education, Assam (SEBA) on Friday morning. Raktim secured a total of 593 out of 600 marks to bag the top spot. He secured letter marks in all the six subjects in the syllabus. Abhinash Kalita of Anundaram Barooah Academy High School of Barpeta and Preetpal Bezbaruah of Tihu High School at Tihu of Nalbari district came close second securing 592 marks. They also bagged letter marks in all the six subjects. The third position has been shared by three candidates, all totalling 591 marks. They are Sultana Ayishah Siddiqua of St Teresa English High School, Barpeta; Jinti Devi of St John’s Higher Secondary School of Baksa and Arbi Chaliha of Sudarshan Public School of Kamrup (Metro). All the three successful candidates also bagged letter marks in all the six subjects. Sima Queen Kashyap of Pioneer Academy, Puthimari of Kamrup (Rural); Hritick Shyam Saikia of St Mary’s High School, North Lakhimpur; Rajashree Nandini Kakati of Christjyoti School, Nagaon; Debashish Bharadwaj of Chamata Higher Secondary School, Nalbari; and Brenjit Hazarika of Ambikagiri Rai Choudhury Jatiya Vidyalaya, Sonitpur in fourth position. Nibir Deka of Anundaram Barooah Academy High School of Barpeta; Bidarshan Dutta of St Mary’s High School, North Lakhimpur; and Raja Snehasis Gupta Dutta of Balikaria Basudev Bidyapith H S School, Nalbari secured fifth position jointly. Bhaswati Kalita of St Albert’s High School, New Bongaigaon; Anushka Bordoloi of Jonaki Sangha High School, Jorhat; Kalpajyoti Gogoi of Parindra Vidyalaya, North Lakhimpur; and Dhritisman Bhuyan of Ramaswaroop AM School, Udalguri secured the sixth position. Gariyashi Devi of Sankardev Shishu Vidya Niketan, Bongaigaon; Nitisha Shivam of St John’s Higher Secondary School, Baksa; Sibanuj Borkotoky of AHD Higher Secondary School of Amguri in Sivasagar; and Pal Bhuyan of Tezpur Government Higher Secondary School, Sonitpur jointly shared the seventh position. The eighth position has been jointly bagged by Anindita Medhi of Rainbow English School, Goreswar of Baksa; Ashish Handique of B V F C Model High School, Dibrugarh, Angana Hazarika of Don Bosco High School, Baghchung in Jorhat; Ankur Jyoti Thakuria of Sankardev Sishu Niketan, Dadara in Kamrup (Rural), Gunjanan Boruah of Dopani High School, Sivasagar; and Bipanch Deka of Suderashan Public School, Kamrup (Metro). The ninth position is being shared by Shyamalina Pathak of St Teresa English High School, Barpeta; B Zenith Kashyap of Suderashan Public School, Kamrup (Metro); and Sermon Caisar of St Mary’s H S School, Guwahati. The 10th position is shared by Syeda Inaya Tabassum of B V F C Model High School, Dibrugarh; Shreyash Bhattacharjee of Salt Brook School, Dibrugarh; Swapnaneel Bhattacharjee of Babyland English High School, Karimganj; Nayeema Firdous Borbhuyan of Nilbagan Jatiya Vidyalaya, Nagaon; Bhargav Jyoti Das of Pranjal Memorial Academy, Raha in Nagaon; Sristy Priyam Nath of St Joseph’s High School, Gohpur of Sonitpur. The overall pass percentage is 56.04 per cent. As many as 337570 took the class X board examinations this year.